Never sewed with knits before? No worries! Sewing with knits is easy and fun with this step-by-step guide which includes lots of tips, photos and diagrams to guide you along. 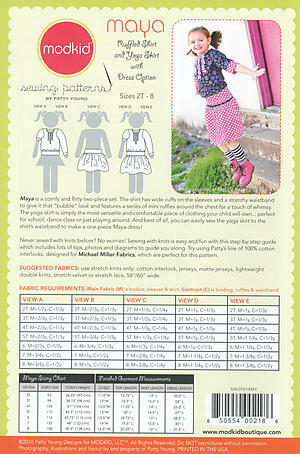 Try using Patty’s line of 100% cotton interlocks, designed for Michael Miller Fabrics, which are perfect for this pattern. Use stretch knits only: cotton interlock, jerseys, matte jerseys, lightweight double knits, stretch velvet, stretch lace 58”/60” wide.